Home of the Danube Swabian for over 300 years. Note: Variations by language are marked as follows: English (E), German (G), Hungarian (H) and Romanian (R). The Sathmar (Satu Mare-R, Szatmar-H) is a region in northwest Romania that was formerly part of the Austro-Hungarian Empire. The area borders Hungary and Ukraine. The majority of the Sathmarer Schwaben (Şvabii Sătmăreni-R, Szatmári Svábi-H, Sathmar Swabian-E), originated in the former Kingdom of Württemberg, mainly from Upper Swabia (Oberschwaben-G), the territory between Lake Constance and the Danube River. The settlement areas are near the Hungarian Somes River and Tisza River. The land was fertile and surrounded by forests and marshland. In general, their full-time jobs were agriculture and animal husbandry. Livestock included Magyar Szürke, the Hungarian Grey, an indigenous, ancient breed of domestic cattle. Farmers grew wheat, rye, oats, corn, tobacco, hemp, grapes, tree fruits and nuts. The land was devastated and depopulated during Ottoman-Turkish rule and after the wars of liberation (1683-1699, 1703-1711), epidemics and natural catastrophes. The villages were left nearly uninhabited and the land was barren. In an area of the Hungarian plains that had been some of the most fertile, conditions were too harsh to grow crops, livestock or a population. The Treaty of Szatmar of 1711 ended the hostilities between the anti-Habsburg rebels, the Hungarian estates and the crown, agreeing to respect the constitution and religious liberty of Hungary, returned confiscated lands, and gave amnesty to all that swore loyalty within three weeks. Count Alexander Karolyi, who was a statesman, Imperial General and aristocrat) owned most of the land in the region. The Karolyi family, with market towns and parishes, was one of the wealthiest, oldest and well-known in Northern Hungary. What Karoly needed were able settlers that could rebuild villages and return the farms to prosperity. Various texts are written by Karoly himself and others that give us window into his thinking at the time. Karoly preferred to populate the area with Catholics, thus tempering the influence of Hungarian Calvinists on society. He felt that the farmers in Oberschwaben might be interested in what he had to offer them: He knew that they were hard-working and capable and that some families had already emigrated to Northern Hungary, showing their interest in the agriculture and conditions. Karoly’s plan would bring the Schwaben to Sathmar and give them an opportunity to own land and escape their own political and economic problems left after centuries of war. In 1712, Karoly traveled to Bratislava, which was a booming cultural and economic area of Hungary, and the site of parliament of the Kingdom as well. His request to bring 14,000 ethnic Germans to the Hungarian countryside was granted. He hoped for eventually 80,000 settlers. His agents made visits to Swabian villages, offering land and opportunity and recruited thousands. The first wave of colonists, who accepted the original incentive, were made up almost entirely of people who made their living off the land. There were a few other settlers as well, such as the Catholic priest, teacher, night watchman, and various herdsmen. They largely received land on which grain had to be grown, as well as one ox and one team of horses. In return, they were subject to tithe, taxes and days of work per year for the land owner’s benefit. Not long after, settlers gathered primarily in Ulm to travel to Hungary on merchant barges known as Ulmer Schachtel. They could bring only one or two boxes of their most treasured and necessary belongings. It would take two weeks to travel as far as Vienna. Once past what is now Budapest, they continued on land in local carriages across the Northern Plains. It was a long and tedious journey in midsummer through the Hungarian Puzta (plains-E) and some died of starvation or thirst. The center of settlement was Großkarol (Carei Mare-R, Nagykároly-H). In the 18th century, the villages were in the Hungarian Megye of Szátmar, Bihar, Szilágy, and Maramáros (Komitat Sathmar, Szilágy, Bihar, Maramuresch-G, Judet Satu Mare, Bihar, Salaj, and Maramures-R). Most settlers were surprised when they arrived and found their villages destroyed and largely uninhabited. They had two priorities - to construct or renovate their housing and work the fields so that food would be readily available. The Swabians were industrious and efficient farmers and craftsmen, so they made good progress in their new home. In some villages where they were settled, the few remaining Hungarian inhabitants were resettled elsewhere or simply moved outside the village, which could cause tensions. The first year, the area suffered from drought. Settlers lived in poverty and died from starvation and illness. Many who couldn't adapt fled back home. Those who stayed were gathered in the village of Schinal (Urziceni-R, Csanálos-H). These hard-working souls depended on their conscientious work ethic and knew this opportunity would have never been possible in their old homeland. Eight years later, they even helped the Count recruit new emigrants in Swabia. His descendants continued with the settlements until at least 1815. Once they had overcome the catastrophes of the early years, the people built a life for themselves that was much like it had been in their homeland. They were proud of their homes and villages. Their culture was vibrant and alive - from living according to their values to their traditional dress and cooking. There was an almost endless stream of settlers. 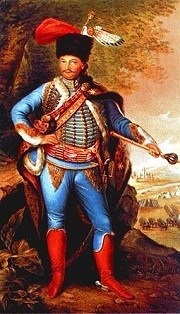 In the early 1800s there were as many as 40 settlements where Sathmarer Schwaben lived; some were homogeneous, and others were together with Hungarians or Romanians. Over the past century, the number of Sathmar Swabians has declined sharply. They (and other ethnic German groups) lost much of the culture they held dear. They suffered through the process of forced assimilation (Hungary required “Magyarization” and the Catholic church supported it), discrimination and persecution. 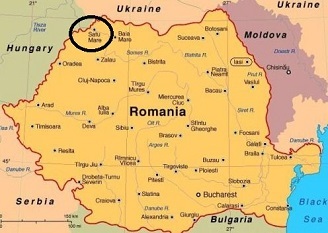 After the Treaty of Trianon (1920), nearly all the land became part of Romania, with only three villages remaining in Hungary. Those families were torn apart. After World War II, 3,000 Sathmar Swabians fled to the west, especially Germany. About 6,000 were deported to the Soviet Union for forced labor. Many never returned and those that did found that their family and community had been expelled from the country. Over the decades, other Donauschwaben continued to emigrate to western countries. The censuses show fewer and fewer citizens claiming that they feel they belong to the German minority. For some this was true, for others the census method has been deemed flawed and there were more than reported. Today, the Sathmar Swabians are considered part of the larger group of Danube Swabians (Donauschwaben-G, Dunării Şvabii-R, Dunai Svábok-H), referencing their travel centuries ago. In Germany, they are represented by the Landsmannschaft der Sathmarer Schwaben (Homeland Community of Sathmar Swabians-E). Those remaining in Romania are represented, along with other German-speaking groups by the Democratic Forum of Germans in Romania (DFDR). As a result, the people have more support in bringing back the cultural hallmarks they value, such as German-speaking schools and churches. Their unique dialect, Sathmarer Schwaben-Alemannic, is nearly extinct and the hope is that it can still be revived. There are more and more people who find they have Donauschwaben ancestors, learning about their historic culture and working hard to help preserve it. - Die Donauschwaben. Deutsche Siedlung in Südosteuropa. (The Danube Swabians. German Settlement in Southeastern Europe.). Ausstellungskatalog. Bearbeitet von Immo Eberl et al. Sigmaringen: Jan Thorbecke Verlag 1987. - Schmied, Stefan (Hg.) (1952): Heimatbuch der Sathmarer Schwaben. (Homeland book of the Sathmar Swabians.) Wangen im Allgäu: St. Josephs-Druckerei. - "The Spanish Succession 1711." Spanishsuccession.nl. N. p., 2018. Web. [Accessed 5 Oct 2018]. Family Villages: Schinal, Wahlei, Groß Karol, Kalamanding, Merk, Darotz, Gilwatch, Trestenburg and Groß Maitingen.